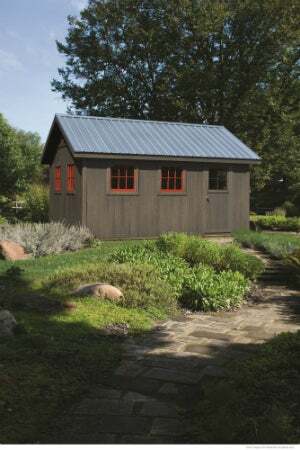 Read up on essential—yet perhaps surprising—info about the ins and outs of adding a shed to your property before you spring for an outdoor structure. 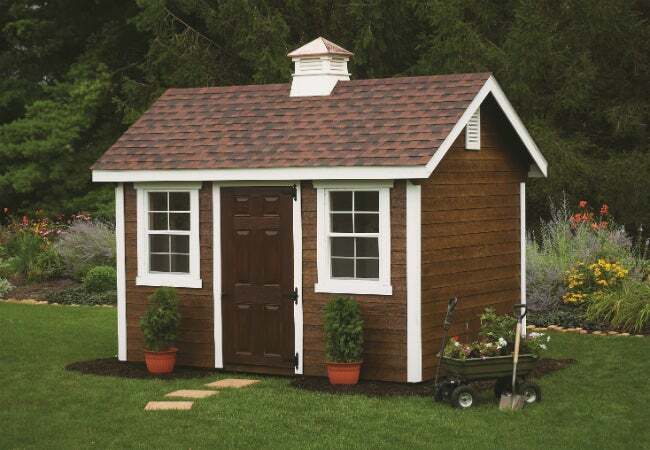 We’re all prone to occasional impulse purchases, but a shed should not be one of them. While more and more folks are catching on to the pleasure and convenience of owning a backyard building, rushing out to buy one could be a big mistake. You don’t want to underestimate your needs and wind up with a shed that just doesn’t fit the bill, and you certainly don’t want to find out that your new outbuilding doesn’t comply with local regulations. Even some of the most basic information about building or buying a shed may surprise you. Fret not! With the following guidance from LP Outdoor Building Solutions, you can be sure that you’ll end up with the shed that best suits your budget, your property, and your lifestyle. It’s your property, so you may think you can build whatever you want on it. Well, think again! Local authorities and homeowners associations (HOA’s) often place restrictions on accessory buildings like sheds, regulating such details as the type and size of a shed, its distance from the property line, and its permitted uses. If, for instance, you want to wire your shed for electricity, regulations may apply. Check with your city and/or HOA for specific requirements, and check out your local building codes for more info before you start shopping. Photo: lpshed.com. Shed image is for illustrative purposes only. 2. All sheds are not created equal. If you want your backyard building to stand up to the elements, keep you comfortable in all seasons, and look great for years to come, study up on your options. Consider roofing, for example. LP® ProStruct® Roof Sheathing with SilverTech® offers a durable radiant barrier that helps reduce the structure’s overall solar heat gain. As for siding, LP® SmartSide® Siding offers the warmth and beauty of traditional wood with impressive impact resistance, no efflorescence, and fewer seams than other materials. And most LP products feature the SmartGuard® process to resist rot, fungal decay, and termites. 3. Where you purchase is important. Once you have a good idea of what you want in a shed, think about where you’ll buy it. After all, sheds are available all over, from big-box home improvement stores to your neighborhood handyman—but not all dealers offer the same products, options, and services. You’ll want to work with a business that constructs its buildings in a quality-controlled environment in order to protect components from water damage, provides complete delivery and set-up services, and offers warranty coverage. It’s good to know that LP products come with industry-leading warranties, including a full five-year labor and materials replacement feature and a 50-year prorated warranty on siding and trim (see lpcorp.com for details). 4. You can afford it! Whether you envision a shed large enough to serve as a workshop or one tricked out to function as an outdoor kitchen, the price tag on your dream shed doesn’t have to burst your bubble. Lots of folks who can’t manage the entire cost up front can take advantage of competitive financing or rent-to-own programs that let you purchase a shed with a small deposit. 5. Man and woman cannot live by shed alone. When pricing out your shed, consider the additional features essential to your project and whether they’re included in the cost. For example, you can’t just plop a shed in your yard—it will require a foundation to support the walls, keep moisture from seeping through the floor, and provide overall stability so that doors and windows operate properly. Other potentially important add-ons include locks, a porch and railing, or even a ramp, depending on how you plan on using the shed. And what about taxes and delivery charges? Find out the costs and factor them in! A functional and attractive shed can be in your future. But first, give some thought to the issues covered here, decide what you want your shed to be able to do, and contact a local dealer to get the ball rolling. For more smart questions to ask when you’re shed shopping, visit LPShed.com.